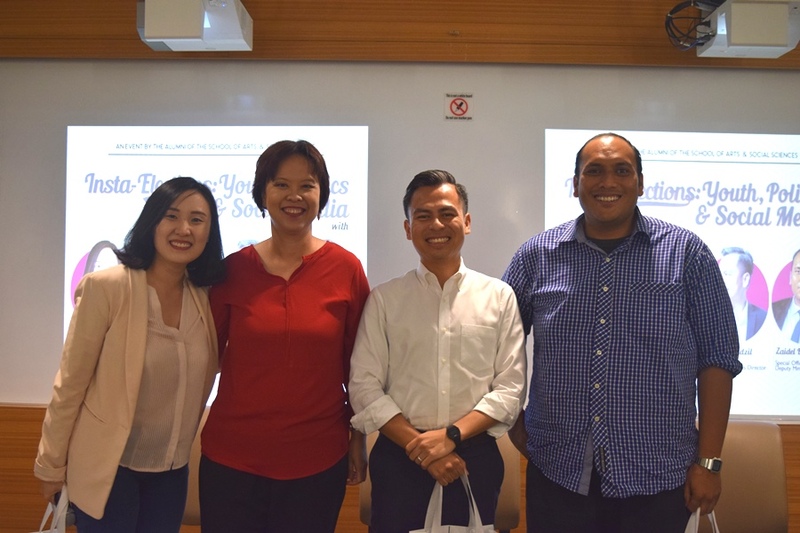 In anticipation of the upcoming 14th general elections, the SASS Alumni Association hosted a public forum on “Insta-Elections: Youth, Politics & Social Media”. The forum was moderated by Miss Tee Jowee, SASS alumna, with fellow panels that comprised of Mr Zaidel Baharuddin, the special officer to the Deputy minister of Home Affairs; Mr Fahmi Fadzil, the communications director at Parti Keadilan Malaysia and Dr Pauline Leong, a senior lecturer at Sunway University. The forum aimed to examine the strategies of both sides of the political divide in dealing with youth apathy as well as the challenges of campaigning in the digital era, within the Malaysian context.Some of the sub topics discussed were youth apathy on elections, disruptive campaign tactics as well as political communication in the digital era. After a Q & A session with the audience, the forum was concluded.